Weebly for Industries integrates a layer of enterprise features into our trusted website creation platform so any organization can easily build and manage hundreds or thousands of websites. Resell, administer and host in a fully customizable environment. Integration with existing workflows, security protocols and databases is flexible and streamlined. 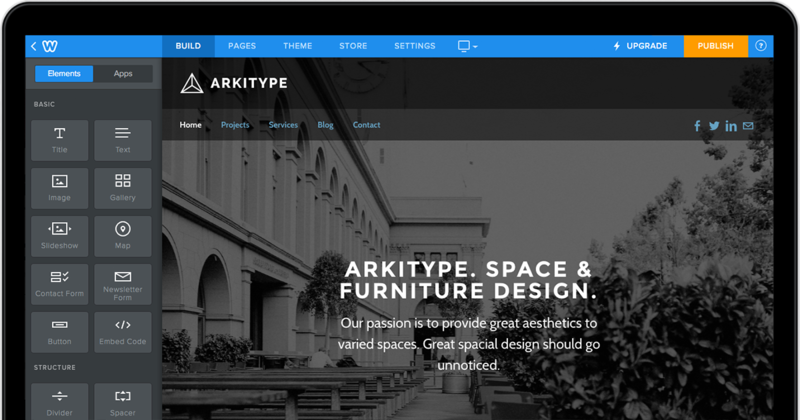 Stunning design with mobile-ready, responsive themes so every website looks amazing on every device. Build on and customize the system to create an experience unique to your brand and business. Create your own themes and elements to generate custom packages for resale or internal use. Save time and money with website creation, management and hosting 100% covered. External hosting structure eases the burden of hardware setup, maintenance and user access. Service staff and clients with a full permission and administrative management layer for full control over system support. It takes zero experience to create beautiful, dynamic sites without worrying about manual updates or new systems to learn. Whether you need 50 or 50,000 websites, Weebly for Industries can be customized to meet your unique business needs. From scaling marketing across real estate and insurance franchises to powering department and faculty sites at hospitals and universities, Weebly for Industries is transforming website creation for businesses everywhere. With Weebly sites generating over 200M visits per month, it’s no surprise that industry-leading companies use Weebly for Industries to accelerate their business. Even Google and Square offer Weebly directly to customers who want to build their own websites. Weebly for Industries empowers companies of any size to advance beyond the limits of traditional website creation. It’s time to get started. Intuitive site Builder makes it easy for anyone to create a high quality website, blog or online store.